The European autoblogosphere is buzzing today with more details about legendary Porsche tuner Gemballa’s latest creation. After years of modifying the flat engined sports cars from Zuffenhausen, Uwe Gemballa has turned his attention south to Maranello and a Ferrari Enzo. We’re not saying it’s Darth Vader approved, but the new Gemballa MIG-U1, is…uhhh…well…probably best if everybody just kept their opinions to themselves. 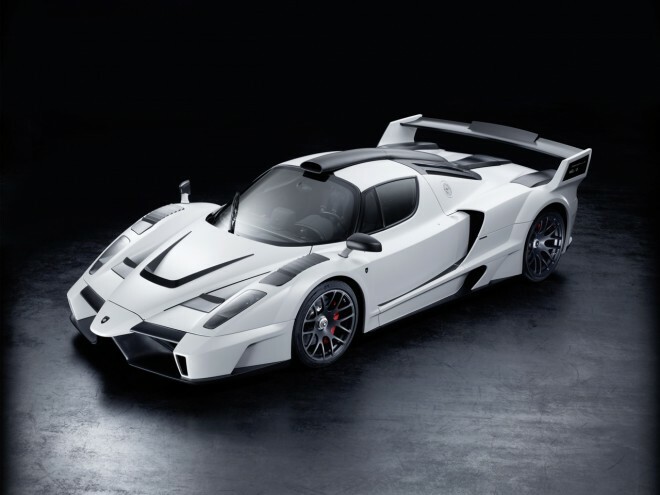 Underneath the exterior modifications we’re guessing will cause some screaming amongst the Ferrari faithful, the modified Enzo includes a boosted engine to 700 horsepower thanks to a new exhaust and reworked ECU. Roughly 35 pounds of the all important un-sprung weight has been shaved from the forged wheels in another effort to increase performance. The exterior, which has been called jet fighter inspired, stormtrooperish, and simply ugly, does include practical aerodynamic improvements. Gemballa says will increase downforce 77 pounds at the front and 187 pounds at the rear. For those times when you need to clear a driveway and clearance is more important than downforce, a button will raise the body of the MIG-U1 a few inches to keep the scraping to a minimum. But don’t think all of Gemballa’s efforts were performance minded. Inside the limited edition car, connoisseurs will find a custom leather interior made to each individual customer’s, ummm, taste. Following the sports car minimalist tradition, owners will enjoy a multimedia center complete with a seven inch touch-screen control and a 950-watt stereo with a subwoofer between the seats. After all, who would want to listen to a Ferrari V-12 all day? Only 25 of these MIG-U1’s will be made and no price has been announced. You can go to the company’s microsite to choose your color. Let us know when your MIG arrives so we can come and have a look at it in person.